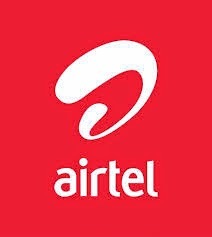 Airtel Nigeria has provided a suitable option for data users who cannot stand spending huge amount of money on data bundle plan in their night data bundle plan. The airtel night bundle is obtainable for #25 with an allotted data of 500MB. The airtel 500MB for #25 is not open to all airtel subscribers but only available to airtel subscribers on the Smart Trybe 2.0 prepaid tariff plan. Hence, one of the basic requirements for enjoying the 500mb for 25 Naira airtel night bundle plan is to be on the smart trybe 2.0 prepaid plan. To migrate to airtel smart trybe 2.0 prepaid tariff plan dial *312# select or reply with with 1. You could save yourself the stress by simply dialing *312*1#. You will receive a notification on the successful migration to the airtel smart trybe 2.0 prepaid plan. Migration to airtel smart trybe2.0 is FREE to all airtel prepaid subscribers but attracts a fee of #50 if you have migrated to any other prepaid plan within a period of 30days. With the migration to airtel smart trybe 2.0 prepaid plan out of the way lets talk about how to subscribe for the night bundle plan. To subscribe to the airtel night bundle plan which gives you 500MB for #25, dial *312# select/reply with 3 and then select/reply again with 1. If you look closely when you dial *312# and reply with 3, you will find out that airtel also have another night bundle plan option which goes for #200 for 1.5GB. To subscribe to that dial *312# select/reply with 3 and then select/reply again with 2. The airtel night bundle plan is valid between the hours 12:00am to 5:00am but there is a twist to how the validity works. The validity is actually 24hours but an active subscription works only between the hours of 12:00AM and 5:00AM. To explain it further, if you subscribe to the airtel night plan by 3:00AM and fail to finish the 500MB by 5:00AM it will stop connecting but will come alive the following night till 3:00AM, which is the exact time the subscription was made the night before. 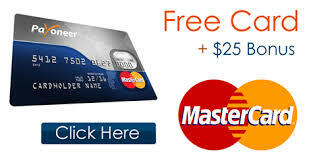 In another scenario, if you exhaust the 500MB before 5:00AM in a single night or within the 24hour lifetime(anytime the following night before the main expiration time) of the subscription you cannot subscribe again. The allotted data is 500MB which I have confirmed though there is no code or means from airtel through which you can check the allotted data, what has been consumed and what is left. The way I keep tab on it is by using an android app called internet speed meter lite. Night data bundle plans are meant for subscribers who can sacrifice their night sleep for internet access, though at-times there are huge downloads or heavy data consuming activities which one cannot afford to use his limited data bundle, that can warrant one staying awake to save few kobos through the night data bundle plan.